Most of you are very familiar with the lithium-ion batteries and alternate energy like wind and solar. We all have experience with technologies like the lithium batteries in our electronics, small solar panels and charger, as well as wind mills dotted across the landscape. 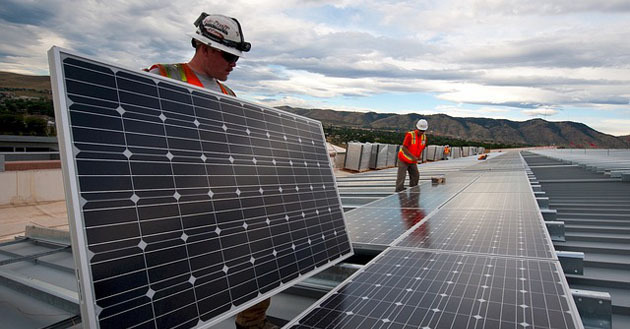 Another technology has come to the forefront because of the way and speed the renewable energy market has progressed. Lithium-ion batteries, although they can be hazardous as those with Samsung phones surely are aware, are entrenched in the energy storage market. They are and will continue to be the battery of choice for electronic devices and some larger applications, like electric cars. Now that renewables are becoming entrenched on our electrical grid, new challenges are emerging. I have commented many times that typical grids can go to 15�20% renewables and the intermittent character of those renewables can be managed within the grid. Many countries are approaching those limits. The other factor is that smart technologies now being used on grids means more effective management of these grids. 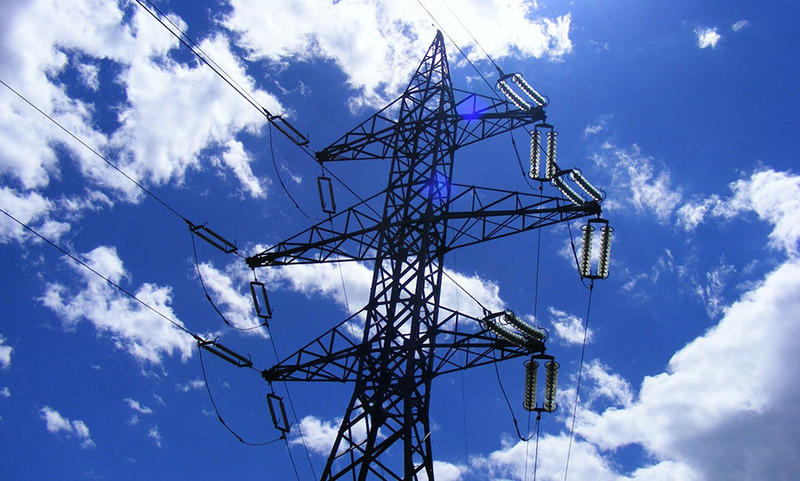 This has resulted in electric utilities starting to put demand on electrical storage. There have been numerous announcements by utilities that plan on deploying large battery storage. Elon Musk and his Tesla Gigafactory have been catching their share of business and making headlines. The most prominent deal is in California, where basically battery grid storage is going to be used to replace a gas-fired electrical plant (nicknamed "the peaker") currently being used for peak demand periods. By 2021 it is destined to be the world's largest storage battery, capable of holding and delivering over 100 megawatts of power an hour for four hours. The utility, Southern California Edison Co., picked the designer of the battery, AES Corp. of Arlington, Va., over 1,800 other offers to replace The Peaker. It was the first time an energy storage device had won a competition against a conventional power plant. Most power industries around the world use peaker plants to meet peak demand on the grid. The brunt of peaking capacity is currently generated with natural gas, but an increase in storage projects and technologies is a sure sign that change is on the horizon. 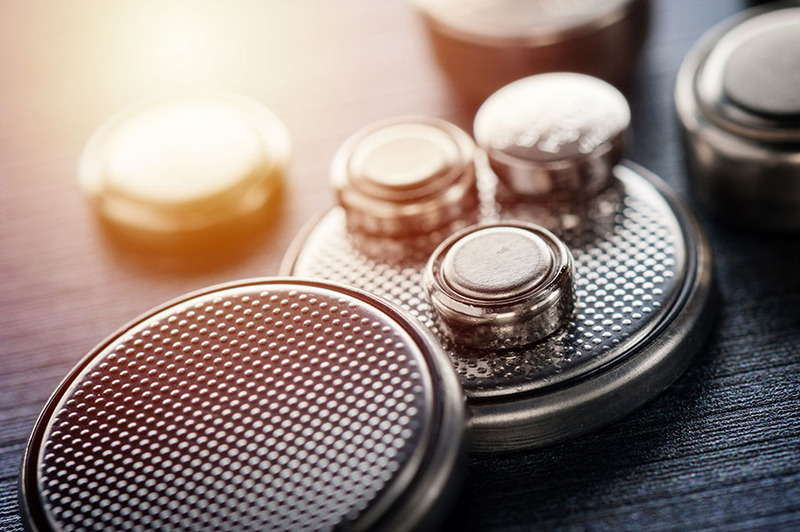 In the U.S. alone, batteries could overtake peaking plants in as little as four years, a recent study by GTM Research and Wood Mackenzie suggested. Batteries are already competitive with gas peakers in select cases, and they'll gain more of an edge over the next decade, allowing them to capture a growing need for peaking capacity, the study found. The Long Beach facility, when it is completed, will have 18,000 battery modules, each the size of the power plant of the Nissan Leaf. An electric car like the Leaf has thousands of lithium-ion batteries about the size of an AA battery. So we are talking about a hundred-million little batteries, which seems kind of silly when you look at it from that angle! Not to worry, there is something much better when it comes to grid storage, and Japan has been using it for decades. It is worth noting that Panasonic, a Japanese company, is a worldwide leader in lithium-ion batteries and makes them for Tesla, yet for its grid, Japan has gone with the vanadium redox flow (VRB) battery. Unknown to most people, a vanadium battery in construction in Dalian, China, will be at least 100 times larger at 3000mWh capacity. That is the equivalent of three nuclear power plants of energy storage capacity. This graphic is part of the Rongke VRB being used in China. For grid storage, I have no doubt this will be the battery of choice. 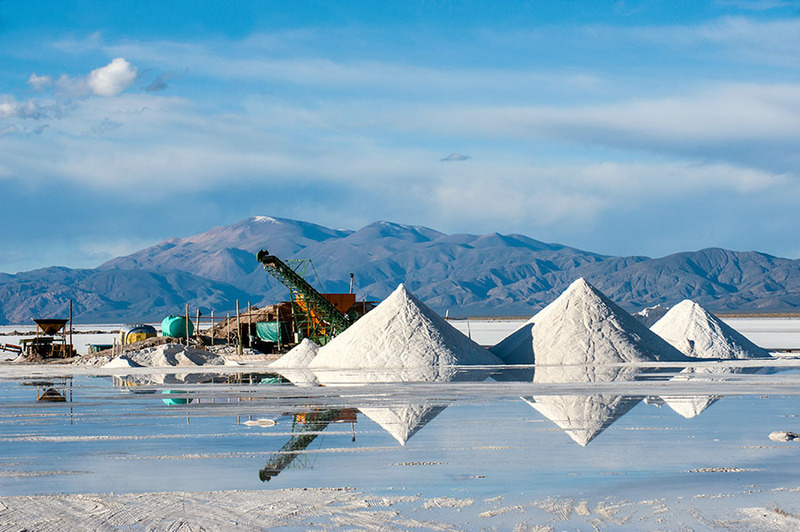 Vanadium batteries have a big advantage over lithium and have an expected lifetime of approximately 15,000 cycles, with zero degradation during the first 20 years. Most Canadians and those in mining circles will know the Friedland name. Pu Neng chairman Robert Friedland, whois chairman of another vanadium battery company, said, "Earlier this year, Chairman Xie and I discussed the opportunity to utilize Hubei's abundant vanadium resources and Pu Neng's next generation technology to set a new benchmark for global energy storage. . .Vanadium flow batteries (are) revolutionizing modern electricity grids in the way that lithium-ion batteries are enabling the global transition to electric vehicles." Basically, one vanadium battery can replace thousands of the lithium-ion cells and the battery is safer, more efficient and has longer life, among many other advantages. 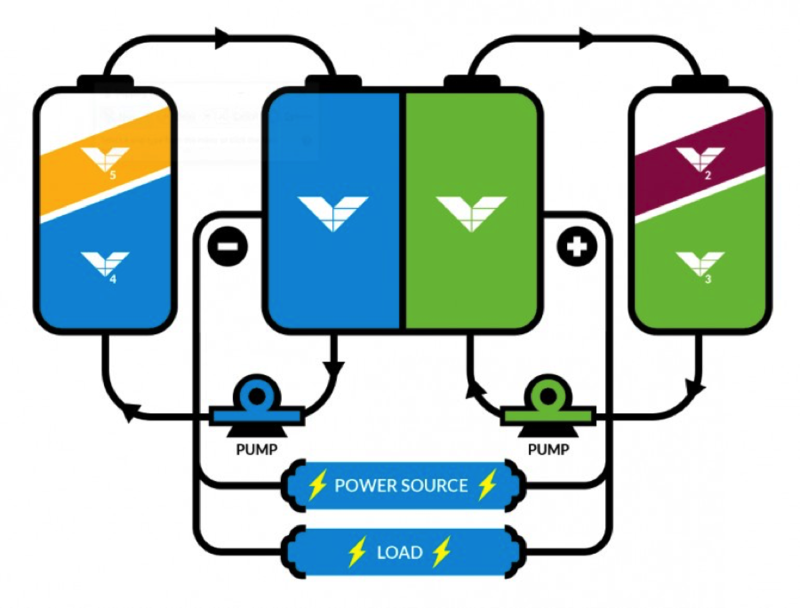 Vanadium electrolyte is pumped on each side of the cell for positive and negative terminals. I would suggest you watch this YouTube video as a very good way to understand how these work. There is no doubt the VRB is the best choice for grid storage. It has many advantages over lithium-ion technology. You don't need to worry about multiple elements that inevitably cross-contaminate over time, such as lithium-cobalt, nickel-cobalt, zinc-bromine, iron-chromium, bromine-graphite. All you need is vanadium. Vanadium is the cathode, anode and electrolyte. Generally speaking, good conductors of electricity are also good conductors of heat. That is not the case for metallic vanadium dioxide, a material already noted for its unusual ability to switch oxide states on demand and from an insulator to a metal. Currently almost all vanadium mined for the steel industry is from China, South Africa and Brazil. About 85% to 90% of vanadium production is used for alloys in steel. The most common oxide of vanadium (vanadium pentoxide; V2O5), is used as a catalyst in manufacturing sulfuric acid by the contact process and as an oxidizer in maleic anhydride production. Vanadium pentoxide is also used in ceramics and the VRB. Like most everything, about 60% of production is from China, with South Africa and Russia the next largest producers. There are no vanadium mines in North America but some is produced as a byproduct of other mines. For all of these reasons discussed above, vanadium prices have gone up substantially. In fact, it was the hottest battery metal in 2018, until the recent market correction that also affected vanadium to some degree. The current market is still well above the $7 per pound area, where it started from in 2018. This recent pullback has provided a great buying opportunity. I am sure you have heard before that the best place to find a gold discovery is near gold mines. The same is true for silver, nickel and other metals, including battery metals like vanadium. That is what Spey Resources Corp. (SPEY:CSE) has pulled off, as the company acquired a project near past-producing vanadium mines. In fact, its property hosts the same vanadium-bearing sandstones as these past-producing mines. Marshall Farris, CEO and director, is the founder, president and a registered dealing representative of Ascenta Finance Corp. He has over 25 years of experience assisting public and private companies with corporate operations, capital development, corporate communications and regulatory compliance activities. As the president of Ascenta Finance Corp., Farris has participated in raising over $125 million in capital financing for public and private companies. Farris has completed the Investment Funds Institute of Canada's Exempt Market Products Course. He also has held management positions in various public and private corporations over the course of his career. Additionally, Mr. Farris is a co-founder of the Ascenta Foundation, a 100% volunteer-run charity. David Thornley-Hall, president and director, is a senior executive with 25 years of diversified experience in the mineral exploration, mining and finance industries. Previously Thornley-Hall spent 8 years with Western Potash Corp., most recently as executive vice president and corporate secretary. He was a leading member of the Commercial Team at Western Potash Corp., responsible for securing over $110 million in strategic equity investment in two separate transactions, initially with a Chinese state-owned enterprise and subsequently with a Chinese private equity firm. Before entering the mining industry, Thornley-Hall worked in the Canadian dollar bond market, beginning as a broker on Bay Street and rising to the position of managing director of the Canadian business at Exco Shorcan in London, England. Ian Graham, director, is a mining professional with over 28 years of experience in the technical characterization and financing of mineral deposit exploration and development. Graham's 20 years with the major mining companies Anglo American and Rio Tinto has been followed by experience in founding and financing public companies in the minerals sector. He has experience with the modeling of project economics (DCF) and the structuring of project and company financing. Graham's project roles have taken him to southern Africa, Canada, the U.S., India, Russia and Latin America; as chief geologist with the Project Generation Group at Rio Tinto, his focus was of a global nature. Graham's mine and advanced projects include the Diavik Diamond Mine (Northwest Territories, Canada), Resolution Copper (Arizona, U.S.), Eagle Nickel Mine (Michigan, U.S.), Lakeview Nickel (Minnesota, U.S.), Bunder Diamonds (India) and the Milestone Potash Project in SK, Canada. While involved with the Milestone Project, owned by Western Potash Corp., Graham and Thornley-Hall, worked closely on negotiations with financiers and major public and SOE mining companies to attract financing for resource, feasibility and project development work. Alistair Waddell, Director, is an exploration geologist with 23 years of international experience in the mining industry. His diverse global experience bridges both junior and major companies, giving him a broad vision of the mining industry. Waddell is one of the founders and former president and CEO of GoldQuest Mining Corp. a junior exploration company focused on the Dominican Republic. Alistair was formally VP�Greenfields Exploration for Kinross Gold Corp. responsible for global greenfields exploration. The company has just acquired a vanadium project directly adjacent to two past-producing vanadium mines, some of the only vanadium mined in North America. Energy Fuels Inc. (EFR:TSX; UUUU:NYSE.American) is also close by and it has just turned on its vanadium production from reprocessing its tailings. We are clearly in the right neighborhood. 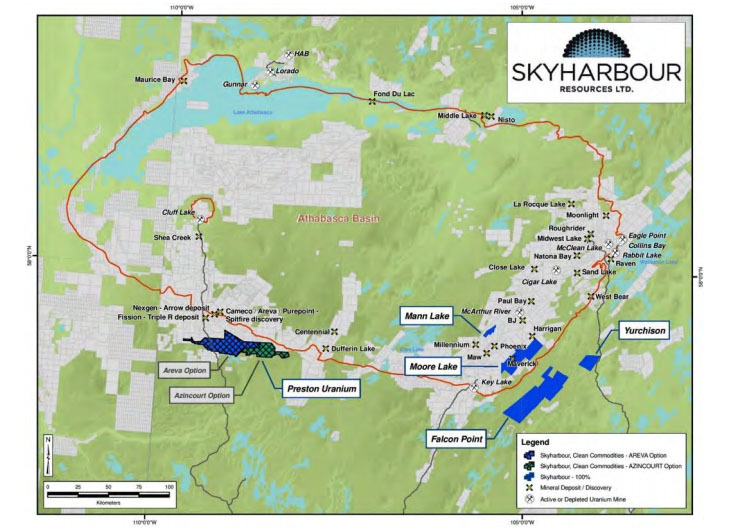 The Uravan Project is located within the La Sal Mining District, San Juan County, Utah, approximately 40 miles southeast of the city of Moab. Historic production of both uranium and vanadium has taken place from 1915 to date. Production of uranium and vanadium is currently being carried out by the only producer in the district, Energy Fuels Inc. According to Energy Fuels' Jan. 7 press release, the mill is the only operating conventional uranium and vanadium production facility in the United States and is highly strategic, as uranium and vanadium are two of the 35 "mineral commodities considered critical to the economic and national security of the United States," according to the Final List of Critical Minerals published in May 2018. Mineralized zones carrying lower grade uranium with much higher grades of vanadium are targeted. Although adjoining Energy Fuels' properties, Spey's property remains virtually unexplored for vanadium, with only minor historical prospecting, pitting and radon surveys having been completed. The key takeaway about this property and Energy Fuels is more than just location, location, location. The Uravan project hosts the same sandstone as Energy Fuels' property, and has been proven to host low-grade uranium with past historic drilling. 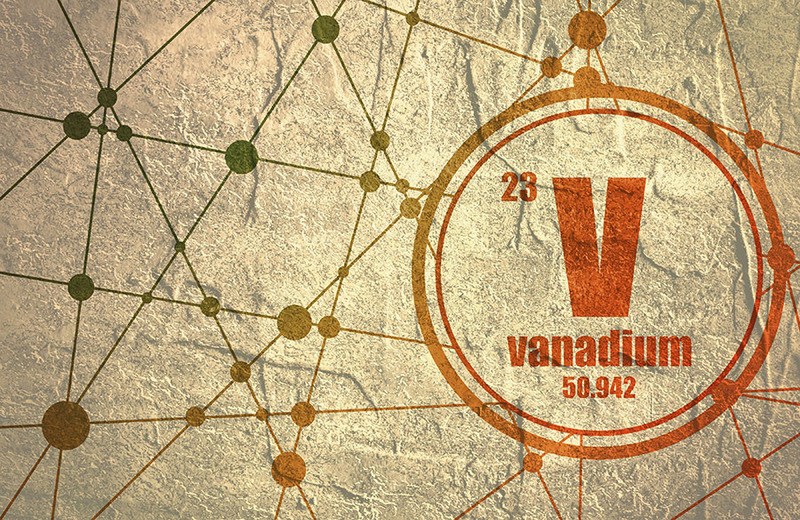 Nobody was looking for vanadium then so they did not assay for it. In general, these sandstones carry a vanadium grade about 4 to 5 times the uranium grade. This means the odds are extremely high that Spey's Uravan project contains similar vanadium grades as the adjacent Energy Fuels project. The 33 lode claims making up the property are underlain by the Morrison Formation, sandstone consisting of a complex assemblage of lenses and sedimentary channel fill. Vanadium zones of potential economic interest can be formed by selective impregnation of sandstone, absorption by shale material and replacement of fossilized plant material. Vanadium-bearing hydrous mica can be disseminated in part, rather uniformly throughout the sandstone and concentrated in sheets along bedding plains. Mineralized zones elsewhere in the Morrison Formation have historically been known to have well defined limits. Production stopes at several nearby historic mines varied greatly in lateral dimensions up to 90 meters (90m) wide by 180m long, with a thickness of 0.5m to over 5.0m. Previously mined zones are lens-shaped and graded upward of 1.5% V2O5 (Carter, W.D., Gualtier, J.L., USGS Paper 508, Geology and Uranium-Vanadium Deposits of the La Sal Quadrangle, 1965 and Kovschak and Nyland, 1981). La Sal Creek District production through 1980 totaled about 6,426,000 pounds U3O8 (average grade of 0.32% U3O8) and nearly 29,000,000 pounds V2O5 (average grade of 1.46%) (Kovschak & Nylund, 1981). Denison Mines Corp. (DML:TSX; DNN:NYSE.MKT) began producing from the Pandora Mine in 2006, and later from the Beaver Shaft/La Sal decline following its acquisition by International Uranium Corp. (IUC:TSX). Ore production by Denison and by EFR (following its acquisition of Denison's U.S. Mining Division) between 2006 and 2012 from the mines in the EFI La Sal Project area totaled approximately 412,000 tons (1,658,000 pounds) U3O8 at an average grade of 0.20% U3O8 and 8,431,000 pounds (lbs) V2O5 at an average grade of 1.02% V2O5). Vanadium is typically associated with uranium in the Morrison Formation sandstone. Spey will explore for vanadium-uranium bearing zones by conducting a detailed radon survey (for uranium) across the property to generate drill targets. Anomalies identified will be tested by recovering samples from depth by shallow drilling to delineate grade and tonnage within the Uravan project. Geoxplor Corp., the property vendor, has a proprietary technique of surveying the project and identifying the channels. It has used the technique on other projects, along with the inventor's son, to interpret the data and have drilled the targets identified and hit every single time. The drilling to date using the technique has been for uranium. In this part of Utah, the channels host vanadium and uranium at a ratio of 1 to 4 or 1 to 5 (meaning if you discover 0.5% uranium, you likely find 2.0%�2.5% vanadium). The ore produced at the Firefly through 1956 contained 2.04% V2O5 and 0.35% U3O8. Spey secures the right to acquire a 100% interest in the Uravan property by paying Geoxplor a total of US$310,000 cash in four annual installments and by issuing an aggregate of 3,500,000 common shares in five installments of Spey stock within four years. An additional payment of US$1,000,000, either in cash or common shares of the Company at Spey's election, will be paid on or before the date of any commercial production, at a per share price equal to the volume weighted average trading price of the company's common shares on the CSE for five days prior to the date written notice of the election is provided to Geoxplor. Upon Spey earning a 100% interest in the property, Geoxplor shall be entitled to a 2.0% net smelter return royalty (NSR) payable upon commercial production from the property. Spey has the right to purchase three-quarters of the NSR (leaving Geoxplor with a 0.5% NSR) by making payments totaling US$1,500,000 at anytime. The exploration manager of Geoxplor, John Rud, is an 81-year-old P.Geo with more knowledge in the geology of this region of production than anyone. He has been actively working and building a knowledge base around the sand channels that host the vanadium and uranium in Colorado and Utah for over 35 years. The claims Spey just acquired are, in his opinion, the best shot at a new discovery. It is, in his opinion, the extension of the old mines just over the ridge as the sand channels continue, as evidenced by drilling done by another company a number of years back that hit the channel looking for uranium. They never assayed for vanadium because no one cared about vanadium at the time. Energy Fuels, which is on the same structures, started 2018 around $2 per share and ran up in price to over $5 per share. After the recent correction, the current $3.80 price equates to a $340 million market cap. Spey Resources is working on the same trends and geology as Energy Fuels, and that of past-producing mines. Potentially Spey could obtain a market cap of $200 to $300 million with a drill discovery in the same sandstones. Currently Spey has 17 million shares out, fully diluted. With financing for drilling, let's assume a double, to 35 million, and round up to 40 million. A $200M market cap would then equate to $5 per share. The stock currently trades around the IPO price, at $0.10 per share, and with such strong upside this is a very good punt at a tenbagger and better. 1) Ron Struthers: I, or members of my immediate household or family, own shares of the following companies mentioned in this article: Spey Resources. I personally am, or members of my immediate household or family are, paid by the following companies mentioned in this article: None. My company currently has a financial relationship with the following companies mentioned in this article: Spey Resources is an advertiser at playstocks.net. Additional disclosures below. I determined which companies would be included in this article based on my research and understanding of the sector. Want to read more about Uranium, Cobalt / Lithium / Manganese and Alternative Energy? Sign up to receive the FREE Streetwise Reports' newsletter. Want to read more about Uranium, Cobalt / Lithium / Manganese and Alternative Energy investment ideas?